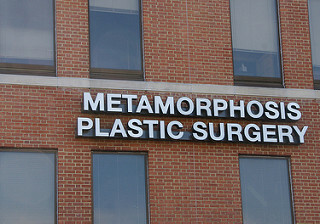 Plastic surgery and cosmetic surgery are in demand throughout the United States and indeed the world. However, some operations can be more expensive than others. This difference in cost is largely down to the relative complexity of certain procedures. As for the surgery itself, it is known in medical terms as an "invasive" procedure, which means that your skin will be "invaded" by a doctor or surgeon. Despite the intimidating nature of this term, "invasive" simply refers to a needle or scalpel penetrating one's skin. This article will list the standard prices offered in major cities in the US, however, it must be remembered that there may be some additional charges on top of these prices; such as charges for anesthesia or operating room fees. Also bear in mind that shopping around for bargain prices may result in lower quality procedures or products. A common procedure undertaken these days is the face lift. Known as a rhytidectomy, this can be quite expensive, with the average price being approximately $5,500. This price may also increase depending on the area. For example, prices will be steeper in locations such as Manhattan or Beverly Hills, where one might expect to pay $15,000 for the procedure. Does this added expense guarantee a better job? Not necessarily, but paying well below the average will probably result in an inferior end result. If one desires a less extreme procedure than a face lift, one can opt for a brow lift. This approach focuses mainly on the upper part of the face and can reduce wrinkles and lines on the forehead. Expect to pay $3,000 for this surgery. Rhinoplasties were one of the pioneering procedures that helped to popularise plastic surgery in the United States. Nose jobs generally cost around $4,000 and it is recommended with this operation in particular that you don't try to find a bargain basement deal. $6,000 will ensure you pay for what is more likely to be a professional, high-quality procedure. Liposuction prices can vary due to the lack of a standard procedure for the operation. Liposuction for the thighs will cost about $5,000 while having the operation performed on the neck will see you paying about $2,500. Breast implants are another widely used cosmetic enhancement. This surgery began in the 1950s and was generally limited to Hollywood stars who could afford the high prices. The operation, previously quite unsafe, has become more straight-forward and less of a risk in modern times. Thus the operation is becoming more popular and more affordable. One can expect to pay anything between $5,000 and $7,000 for breast implants. But, if you want a more lasting job, you will probably be paying close to the $7,000 mark (or more). Can liposuction be performed twice in one area?